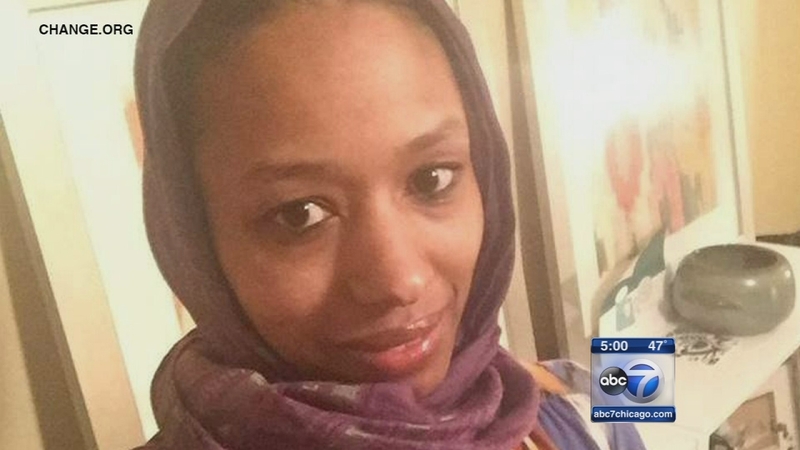 WHEATON, Ill. (WLS) -- A professor at a suburban Chicago Christian college who was placed on administrative leave after donning a headscarf to demonstrate solidarity with Muslims says she's seeking reconciliation with her employer. Larycia Hawkins said Thursday that she's completing required duties for Wheaton College, including submitting a theological statement and grading final exams. Hawkins says she wants to continue her "vocation as a Christian scholar and teacher." The college said Tuesday that it placed Hawkins on leave because she noted similarities between Islam and Christianity in comments on social media. Hawkins has been wearing a hijab headscarf worn by some Muslim women to counter what she called the "vitriolic" rhetoric against Muslims in recent weeks. "I reiterate my intentions. My motivation is to demonstrate Christ's love during a time of profound marginalization of our Muslim brothers and sisters. I act out of my love for Jesus and His call for me to love all my neighbors," Hawkins said in a statement released Thursday. Wheaton College is a private evangelical school west of Chicago. Hawkins' supporters have called for her reinstatement. But not all Wheaton College students agree. While Dr. Hawkins is a popular and very well-liked professor, some support the decision to suspend her. "To say we worship the same God is completely not true and it misrepresents the student body, it misrepresents the institution itself," said Nathan Simon, a Wheaton College student. The Chicago office of the Council on American Islamic Relations said Thursday that a group of female students plan to wear hijabs in solidarity with Muslims as they fly home for the holidays this weekend. CAIR-Chicago said a student named Karly, who organized the group, said they aim to draw attention back to the point Hawkins was trying to make. "Wearing a hijab was never intended to spark controversy surrounding our school's theology, but to show solidarity towards our Muslim neighbors in this difficult time. That conversation still needs to be had," she said. "It is an act of human solidarity meant to be rooted in the Christian ideal of compassion - to stand with American-Muslims who are the victims of this current backlash of Islamophobia and anti-Muslim bigotry. We are grateful to Karly and her classmates for standing in solidarity with Muslims and admire the courage and compassion that act takes in the current climate," said Ahmed Rehab, Executive Director of CAIR-Chicago.